This is a Project Based Learning Lesson designed to have students question how we decide what places deserve preservation and argue for the addition of a landmark to the National Register of Historic Places. Through the lesson, students should explore applications to the National Register of Historic Places and determine the rhetorical strategies and devices used by the author(s) of the applications to convince the audience that the location deserves the protections of the list. Students will be able to understand how the argument for preservation is crafted by reading and annotating texts about preservation. Students will be able to craft an argument composition in which they successful argue for the creation of a cultural landmark by developing knowledge about written composition and the language of preservation. Tom Mayes, "Why Do Old Places Matter"
Explanation of the Statement of Significance by the National Trust for Historic Preservation. Computers, or other devices with access to the internet. Should we save old buildings? Why or why not? How criteria should we use to decide whether or not to save a building/site? What places in American do you think might already be on the National Register of Historic Places? 1) Revisit the criteria list and discuss what each criterion means. Students should decide if the landmark meets the criteria. 2) Using evidence from the National Register Criteria, Mayes’ article, and their knowledge of an old place within their community, students should compose a paragraph where explain the necessity of keeping their “old place’ for future generations. 1) Model reading and annotation of History essay from Mayes’ series “Why Do Old Places Matter”. As you read aloud, share how you would annotate the text and why those specific elements are important. 2) Group students based on similarities of landmarks written about in the previous day’s activity. Students should stay in these groups for the remainder of the unit. Student should highlight Mayes’ claim and the specific evidence he uses to back up his argument. Students should discuss the effectiveness of the argument and the rhetorical strategies and devices that Mayes uses. 2) Groups will reconvene and discuss how the place they chose previously does or does not meet the standards set forth in Mayes’ essays. How does meeting these qualifications help argue that a site should be preserved? Does the failure to meet one of Mayes’ qualifications disqualify a site? If yes, why? If no, why not and what would? How valid are Mayes’ claims? 3) Groups should record the highlights of their conversation on their Google Doc. Note: It is recommended that teachers use bell ringer time, homework assignment, and/or extra class time and different grouping strategies to allow students to interact with other texts from Mayes’ blog series. Why is the criteria created by the class different from the criteria of the National Register? 1) Groups should craft an application for the inclusion of a local landmark or a landmark from their hometown into the National Register of Historic Places. Students can view approved applications for the state of North Carolina here. The expectations of the applications could be easily modified for use depending on the abilities of students and the time that can be spent working on project. The most important sections to assess writing are 1, 2, 7, 8, and 9. Transcendent: To move beyond the bounds of someone's or something's existence. Distinction: Importance, excellence or achievement. Historical Integrity: To be as true to the actual events of the past as humanly possible. Funerary: Of, used for, or associated with burial. Rubric for evaluating National Register applications included here. Also for those teaching AP Classes, students may also be asked to craft an argument essay in which they argue which qualities or traits render it necessary to preserve a location. This essay would be graded on the 1-9 AP Rubric. Variable, 7-10 Class Period Maximum. Stephanie Harris, High School Teacher, North Carolina. Any views, findings, conclusions, or recommendations expressed in this website or during the institutes, do not necessarily represent those of the National Endowment for the Humanities. 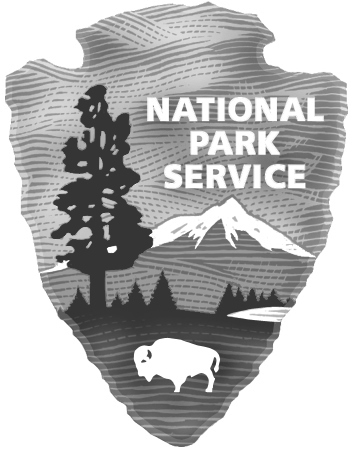 Additional funding is being provided by Wells Fargo through HEAD for the Future, its partnership with HSP, and by Independence National Historical Park.